In a neighborhood in New York, which is known by locals as “Zombieland”, 33 people were hospitalized on Tuesday after overdosing on the synthetic drug K2. Police were called to the scene after dozens of people, looking like they were straight out of the Walking Dead, stumbled through the streets foaming at the mouth and falling over in the streets. As we have covered a couple of times in the past, these new synthetic designer drugs are extremely easy to get, most of them being sold at convenience stores throughout the country. 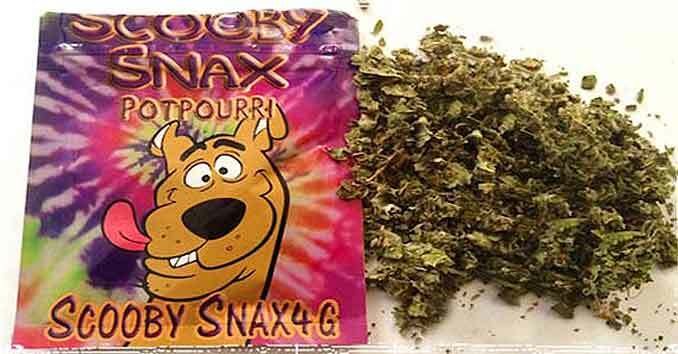 In some areas of the country these synthetic drugs and chemical-laced packets are being used at higher levels than street drugs like Marijuana and Heroin. Thier popularity has skyrocketed with teenagers because they are easy to get, completely legal in many areas of the country, and can be bought for around $5 a batch. In Florida, authorities have been overloaded after a number of synthetic drugs coming in from China, including a drug known as Flakka, have wreaked havoc on their communities. In the spring of 2015, three or four people were hospitalized every day in South Florida, an area particularly hard-hit by the epidemic. These synthetic drugs come under many different names — Bath salts, spice, k2, Flakka, etc. — but they all have one thing in common, they are turning people into dangerous shells of their former selves. One of the major problems with these drugs is they are constantly evolving, and the moment lawmakers try to ban one substance the designers simply change an ingredient and switch the name, bypassing the bans and often times making these products even more deadly. In 2014, after being pressured by U.S. lawmakers, China cracked down on some of these exports and banned methylone, a synthetic stimulant in the same family as flakka. This substance was being added to ecstasy and “Molly.” When Methylone was banned, it was quickly replaced by an analog substance called ethylone. And after ethylone was added to a 2015 ban, it was been replaced by dibutylone. If you are warning your kids to watch out for those shady drug dealers of the past, you need to be aware of how kids are now being targeted. Those stereotypical drug dealers have now been replaced by your local gas station and convenience stores. A new world of designer drugs, which are completely legal in most areas of the country, are now being sold right next to the candy aisle. Things like bath salts, spice, synthetic marijuana, and various psychedelic chemical compounds are being sold in brightly colored packaged aimed directly at our children. And you don’t believe our government is controlled by criminals. All you have to understand is that chemicals, all chemicals are poison. Rothschilds through the Rockefellers destroyed homeopathy and by supplying money to Universities and Medical Schools, took medical care away from herbalists and other natural medicine practitioners. This was the beginning of drugging up the people of America. China, countries in the Middle East, whoever, can poison us and the “authorities” don’t shut this down. It’s murder and our government is guilty. If Black Lives Mattered, why aren’t they fighting to stop this. Then maybe the police wouldn’t have to kill them. Remember whites are taking this poison too. If I here one more fool say so what, they’re dumb, well they are kids. How smart do kids have to be to figure out that just because it’s legal doesn’t mean it’s ok. Well how many people know that most of what your doc gives you is poison,too. You know, I had my wild times as a young adult. Pot and alcohol, back in the 90’s when the world was safer lol. That wasn’t a good idea either, but by the grace of God I got out mostly unscathed. This stuff ain’t that. This stuff makes the stuff we did look like eating candy and drinking three cans of Pepsi Cola. Too bad these syn. drugs (and other drugs like heroin and crack) don’t kill more worthless, useless scum addicts. Just too bad. loser trash low life, I’d rather see rats in the streets and back alleys than dopers any day. This is definately ZOMBIE-stupidity….and The Police are doing thier VERY BEST to keep THE PEACE ! God be with THEM as they GUARD Fellow-Americans and work for The Greater Good! THANK YOU for my Safety !